We are from Milan (Italy) and we make food, the Italian way. 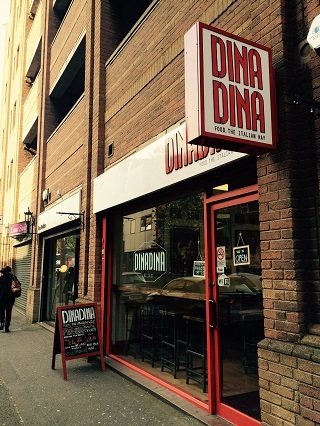 We are a sit in and take away restaurant located in Belfast City Centre. Our food is authentic and we only use original recipes from our families, in the best Italian tradition. Have you got Google Earth on your computer? If so, then download the Google Earth Map of DinaDina. Is this the wrong position for DinaDina? If you think so, then modify its position.